"Basically they're replacing law and science with a political process. One they are more comfortable with and they control." The U.S. House approved a bill Wednesday that would circumvent a federal judge's order for dams on the lower Snake River to spill more water and protect current dam operations through the next four years. H.R. 3144 aims to keep dams in place and prevent any changes in operation until 2022. It's sponsored by Washington Republican Reps. Cathy McMorris Rodgers and Dan Newhouse. "We have made some tremendous investment and research in improving the fish runs. We need the certainty," she said. "Despite billions of dollars spent on these efforts, the listed species continue to be in a perilous state," Simon wrote. 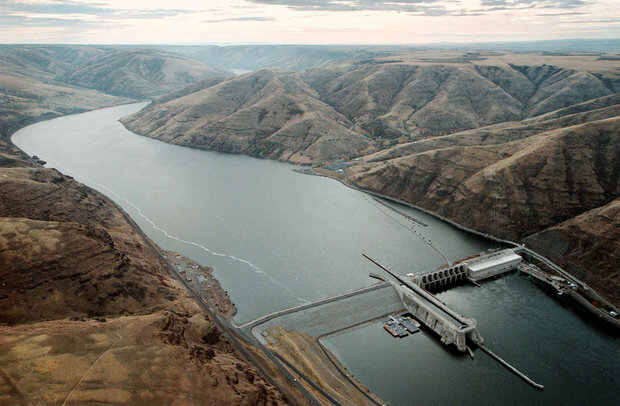 "The (Federal Columbia River Power System) remains a system that ‘cries out' for a new approach." "Scientific experts steeped in fish recovery and clean renewable energy will be able to do their job based on good science rather than an ideological crusade to eliminate dams on the river system resulting in the loss of our region's best carbon-free energy asset," said Rep. Kurt Schrader, an Oregon Democrat who voted for the bill. Critics of the legislation say politicians are attempting to override a judge's order simply because they don't like the outcome. "Basically they're replacing law and science with a political process. One they are more comfortable with and they control," said Joseph Bogaard is with the Save Our Wild Salmon Coalition. The fate of the bill -- and potentially the dams -- now rests with the Senate.